I LOVED IT! I really like that we got a look at the shark right away. They didn’t string us along for 2 minutes with quick glimpses of a shrouded beast. They wisely chose to market the film for exactly what it is, a giant shark v humans spectacle. I don’t want to get into any spoilers for the book so I’ll just say that while I have seen some liberties taken with the source material, none of it is troubling.We get surprisingly little Jason Statham dialogue but you can’t deny he’s looking very Jason Statham-y. Rainn Wilson is given the most to say and is showcased as the comic relief. Which seems appropriate considering the film is choosing to strike a balance between thrills and laughs. 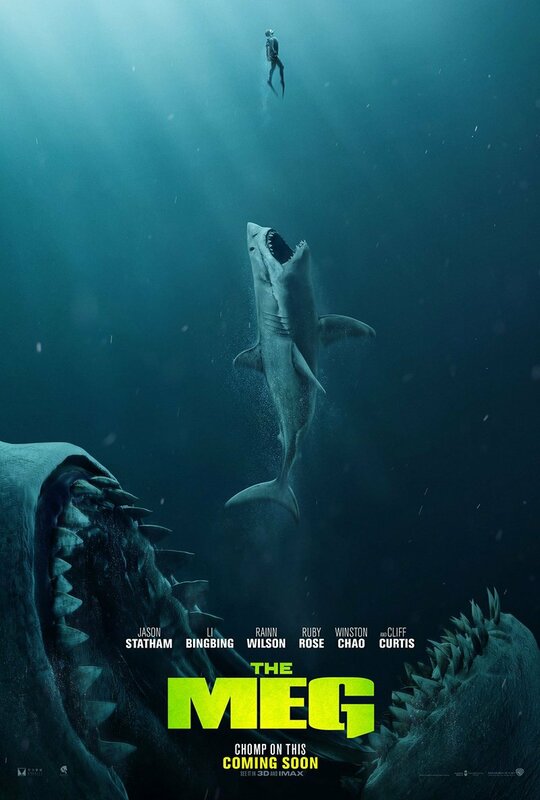 It’s not taking itself too seriously and that’s probably the best decision for a movie about an extinct murder machine thrust into the present day oceans. It’s no secret I have a bias when it comes to movies about sharks. I wouldn’t call it a guilty pleasure but I definitely tend to enjoy them more simply due to the appearance of those beautiful creatures. That’s not to say that I’m immune to acknowledging a film’s problems, it just doesn’t bother me as much. So not only am I not kidding when I say it’s one of my most anticipated films of 2018, I’m definitely not kidding when I say I’ve rewatched this trailer almost as much as Avengers: Infinity War and Ant-Man and The Wasp. I am that excited for it.